在那裡發生? Where is it Happening? Food Revolution Day happened in kitchens, homes and communities around the world. On village greens and in dining rooms, in restaurants and gardens, it will spark conversations about real food and inspire people to take steps towards a healthier lifestyle. The 1st Food Revolution Day was held on 19 May 2012. 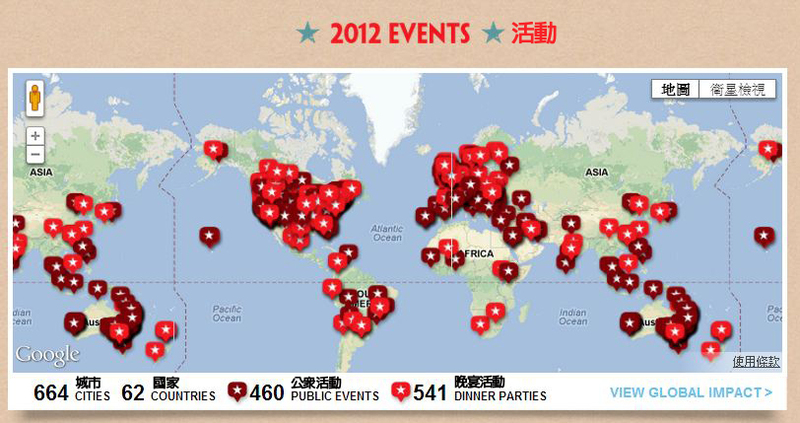 Recorded 460 public events and 541 dinner parties took place in 664 cities from 62 countries. 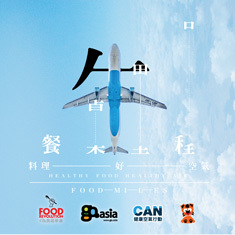 Please click 「為食起革命」| Food Revolution for previous activities record. My name is Beatrice Chan from Hong Kong and I volunteer for the Food Revolution. I give my spare time for free to further the mission of the Food Revolution. The Food Revolution has selected a number of volunteers from around the world who showed a deep commitment to real food and I’m thrilled to be one of them.